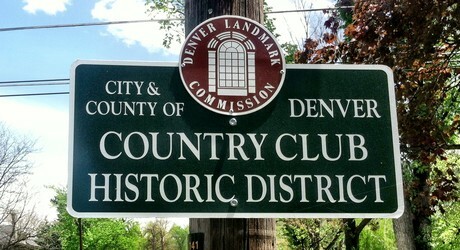 The Country Club is a seasoned, historic neighborhood in Denver, Colorado. Rich in history, this area was first developed in the early 1900s and as a testament to its excellence has stood the test of time. This exclusive neighborhood has been home to a number of notable citizens including a former president and a congressman among others. Wide streets, mature vegetation and historical architecture are earmarks of this unique neighborhood. The spacious homes are situated on large lots, and feature a stunning assemblage of architectural styles with inflences from classic Tudor, Chateau, Victorian, Denver Squares, Georgian and Colonial to name a few. As the name suggest the Country Club neighborhood lyes just north of the oldest Country Club west of the Mississippi, the Denver Country Club, which was founded in 1887. Country Club is close in proximity to shopping and entertainment as well. Farmers markets, such as Cherry Creek Fresh Market and City Park Espalande Fresh Market provide seasonal fruits and vegetables fresh off the vine. Residents can find upscale shopping and dining at the nearby Cherry Creek North and Cherry Creek Shopping Center close by.